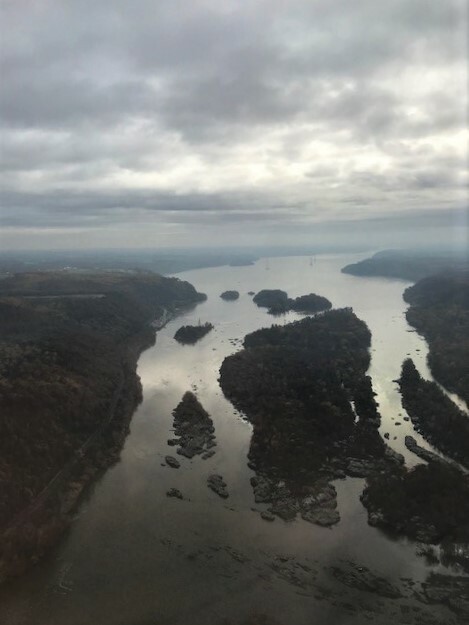 Susquehanna Heritage President Mark Platts joined leaders of the Chesapeake Bay Commission yesterday as the guide for a flyover of the Susquehanna River from Harrisburg to the Chesapeake Bay and back. Commission members were particularly interested in the numerous power generation facilities in this 60 mile stretch of the river, the many parks and preserves that help protect the Susquehanna watershed, and the evolving network of river heritage and recreation attractions we’ve helped develop with local, state, and national partners. 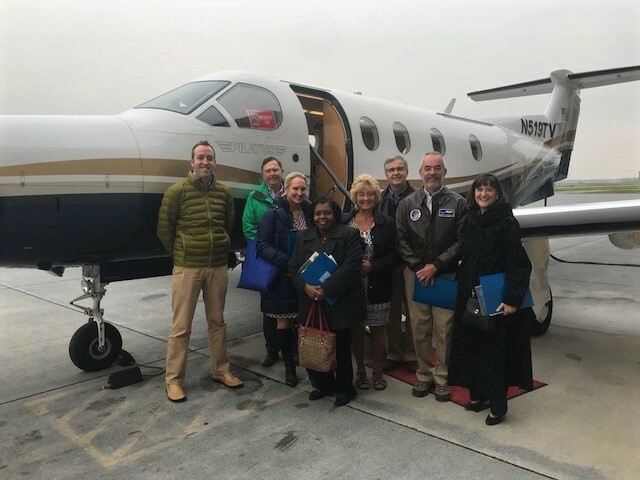 The Chesapeake Bay Commission sponsored the trip as part of its quarterly meeting in Harrisburg. Participants taking part in the flyover included: Ann Swanson, Executive Director of the Chesapeake Bay Commission; PA Representative Garth Everett, Chair of the Commission; MD Delegate Tawanna Gaines, Commission Member; MD Delegate Barbara Frush, Commission Member; and Shannon Lyons, SouthWings Chesapeake Program Director. SouthWings coordinated this trip with volunteer pilots and plane. 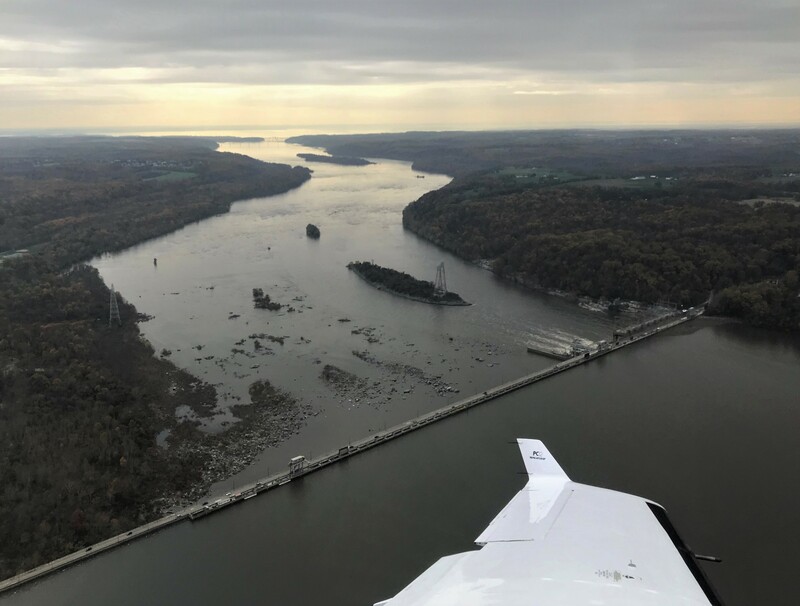 Aerial view south from Conowingo Dam to the mouth of the Susquehanna River at the Chesapeake Bay. Aerial view south from Holtwood over Conowingo Pond. Participants prepare to board with the Southwings volunteer flight team at Harrisburg International Airport (MDT). Participants taking part in the flyover included (left to right): PA Representative Garth Everett, Chair of the Commission; MD Delegate Barbara Frush, Commission Member; Shannon Lyons, SouthWings Chesapeake Program Director; Ann Swanson, Executive Director of the Chesapeake Bay Commission; and MD Delegate Tawanna Gaines, Commission Member.